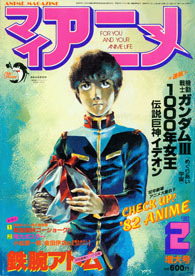 Shortly before Yamato III concluded its first run on Japanese TV in April 1981, it received special treatment from an energetic new monthly magazine published by Akita Shoten called My Anime. In a field that was already becoming crowded with magazines practically climbing over each other to bring you all the hot anime news, My Anime was a true standout. Loaded from front to back with imaginative and wide-ranging stories, it didn’t stop with just the news of the day. Older films and shows were examined, creators and actors gave in-depth access to their daily lives, pros wrote monthly columns, and fans were given numerous opportunities to participate. 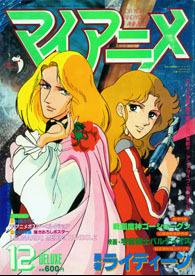 If the word “Otaku” had been in common parlance in the early 80s, My Anime would have been THE Otaku magazine. 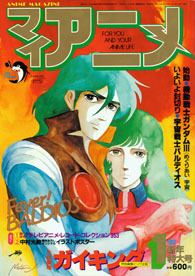 Akita turned the first three Yamato feature films into Anime Comics in late 1980 and early ’81, and when Yamato III arrived hot on the heels of Be Forever, they decided to keep a good thing going. 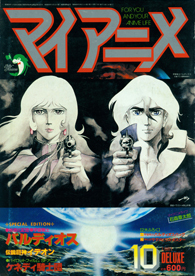 Beginning with the inaugural issue of My Anime (which was dated for April but actually appeared on newsstands in March), the entire TV series was transformed, episode by episode, into an anime comic serial that lasted until June 1982. 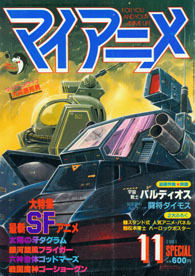 It was the only Yamato TV series to receive such treatment until series 1 became a set of five Star Blazers Animation Comics for American readers in late ’83. This entry was posted in Publishing (Series 3) by TimEldred. Bookmark the permalink.